JSES Ambassador, Tess Adams, got a jump-start on her JSES Berlin 2016 social entrepreneurship project by attending the Women in the World Conference 2016 in NYC, April 8th. She represented JSES, joined the conference as an official press member, and met some of the women who change the world! 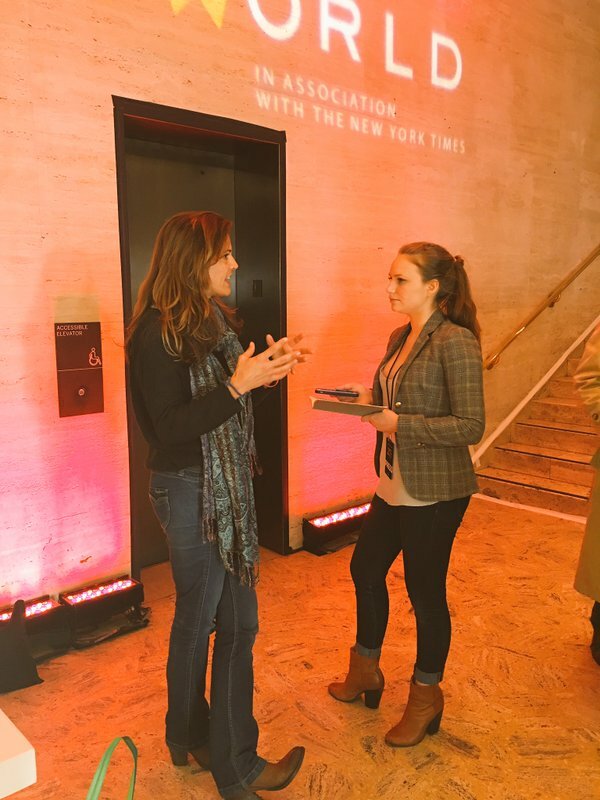 Read Tess Adams' journalistic account of the final day of the Women in the World Conference here. 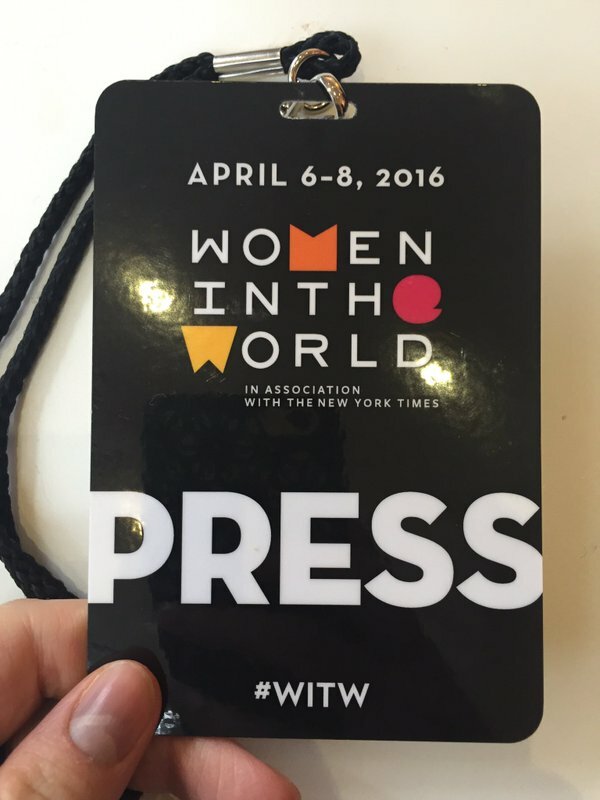 JSES Berlin 2016 Ambassador Tess Adams at Women in the World Summit NYC April 6, 2016. Sponsored by The New York Times. Thank for repping JSES International at the Women in the World Conference 2016, Tess! TOMS Shoes Hangout for JSES Santa Monica 2015 to discuss the evolution of social entrepreneurship. Yes, absolutely. Can't make it but send an email update. Join us at COLOFT TO WORK ON SOLO PROJECTS, AND DEVELOP OUR GROUP PROJECTS. Our solo projects are for businesses in the social enterprise model. Our 2016 group projects help to advance teen health, and special needs advocacy. 7. Save the Children 5 k sponsored by JSES. ​8. Provided seed money for two jses projects. 10 Donate $5,000 in-kind and funds to alma mater.